We offer Transgender specific Training of Trainers in our home city of Philadelphia and in other cities by demand, or, we can come to you! Incorporate transgender topics into your current work? Hone your training skills on transgender topics? Learn best practices in teaching transgender content? Increase participants’ compassion and empathy? Finesse your responses to Transgender FAQs? Utilize the best teaching methods to match your goals? 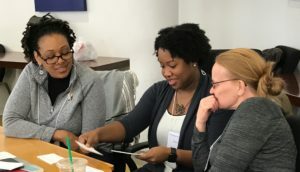 Our hallmark Transgender Training TOT is a professional development course for educators, trainers and facilitators who are interested in teaching transgender content to adults. 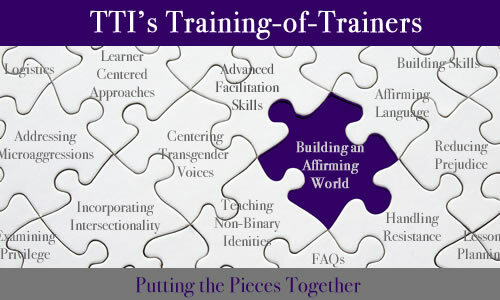 Over the course of three days, we break down each of the elements of a successful “Transgender 101” training and help our participants to hone their skills to deliver highly impactful trainings. 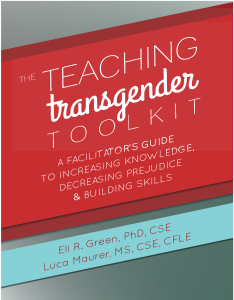 Using The Teaching Transgender Toolkit: A Facilitator’s Guide to Increasing Knowledge, Decreasing Prejudice & Building Skills as a textbook for this course, we help prepare educators to implement the lesson plans included in the book and provide support around aspects of nuanced facilitation such as responding to Frequently Asked Questions, handling challenging participants, addressing microaggressions and managing resistance or social justice fatigue. This course is designed for individuals who have a solid transgender knowledge base and are interested in teaching this content to other adults. Experience teaching is often helpful, but not required. People of all gender identities and expressions are welcome in our TOTs, and we consistently strive to create a learning space that is fully affirming.Our trainings draw participants from all over the United States, and a wide variety of implementation settings, including: K-12 schools, diversity trainings, colleges and universities, public health organizations, direct service and community based organizations, and corporate environments. A limited number of scholarships are available for those who need financial support to attend our TOTs. Priority will be given to trainers who are: transgender, people of color, from under represented/high need areas, partners or loved ones of people who are transgender, and/or do not have sponsorship from an organization to attend. Please visit our scholarship page in order to apply. If you would like to donate to our scholarship fund, please see our travel support page here. Have questions? Visit our TOT FAQs page for answers!